Recently the Straight Key Century Club (SKCC) honored their members of the American Radio Relay League's (ARRL) A-1 Operators during the April Weekend Sprintathon (WES). I sadly was not able to participate due to weekend conflicts but it got me to thinking about my nomination and entry into this prestigious club. I remember receiving a few congratulatory emails and saw my name on the A-1 Operators list but never received anything "official". I dropped a note to the ARRL and inquired about the certificate. My email was answered in short order and after receiving a response, 48 hours later our postal carrier hand delivered this certificate. I feel very honored that a few of my now fellow A-1 operators, felt I was worthy of nomination and award. I have always tried to be the best operator possible, from casual operating to contesting. I think good operators are products of good Elmer's. Even though I've been a ham radio operator for over 26 years now, I'm still learning! And the beauty of ham radio and the internet, you don't have to physically be in someones shack to learn to be a better operator. I learned so much from the Alaska Contest Group and a few, I never even personally met. Group emails, forums, blogs, simple research, Youtube and magazines, there are so many great resources to educate any ham on all aspects of our great hobby. 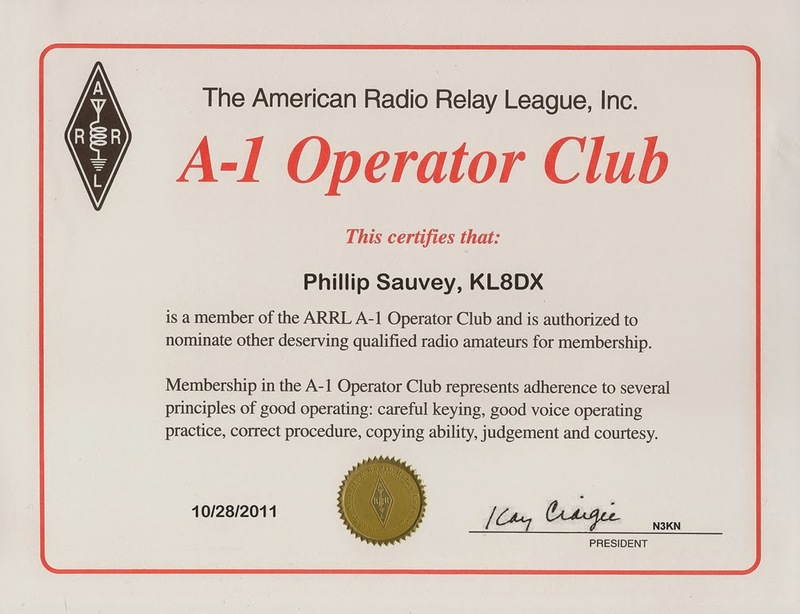 Just because a person does not have this certificate does not mean that they are not a good operator. My plan is to pay it forward and nominate those who I feel should be on the list, those who's callsign are not currently there. 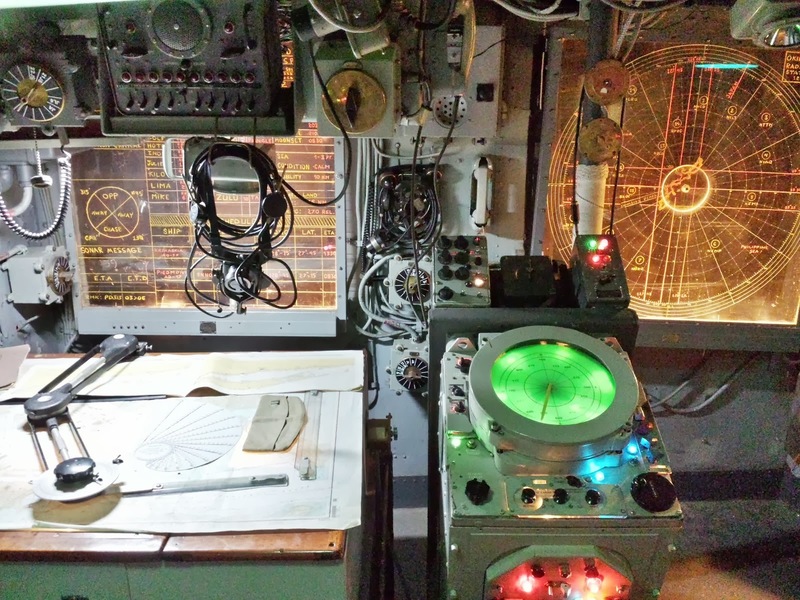 For me, the pressure is even greater now to continue to live up to the standards set forth by the A-1 Operators Club. Will that be a hard thing to do? Nope, as long as I continue to do what I have been doing. Continue to learn, educate others, run clean equipment, by only using the minimum power necessary for the QSO, helping other hams where and when I possibly can and finally, learning from my mistakes. I think the most important aspect of this hobby is to have fun! Being an A-1 Operator is not attached necessarily to a callsign as much as it's attached to the person behind the callsign. Even though I have changed my call since my nominations and entry and now live in at a new QTH, my values remain the same. For any ham radio operator, the DX Code Of Conduct is a great foundation to build upon. I dedicate this award to all those who have helped me in this great hobby over the last 26 years. This speaks more highly of them as I'm only operating as I've been taught. I hope they are as proud of this achievement as I am.